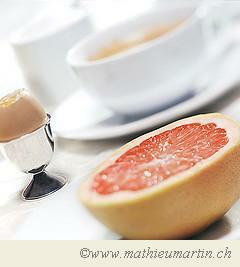 The Egg Grapefruit Diet is another hugely popular diet that promises fast weight loss. The diet is also called the Mayo Clinic Egg Diet but the Mayo Clinic never approved or endorsed it. The diet lasts for 12 days, the egg and grapefruit diet menu has been put together with both the grapefruit and hard boiled eggs as the main ingredients. It is a very low calorie diet plan – some versions are based around only 800 calories intake per day. This is much lower than the 1200 calorie diet plans or 1300 calorie diets that are often followed for people trying to lose weight quickly. There are a few variations of the egg and grapefruit diet which allow fruit, cheese and bread, But overall it is a calorie restriction diet which demands a strict following and eating only food from the menu. Warning: If you are on any medication, please seek the advice of your doctor of physician prior to starting this diet as grapefruit may interact badly and cause side effects. 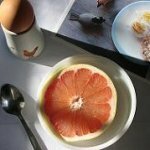 How The Egg Grapefruit Diet Works? 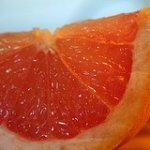 Grapefruit are considered to be one of the thermogenic foods, i.e. have a thermic effect (negative calorie diet food) – it means more calories are burned during the digestion process than the fruit actually has. It is thought that the number of calories burnt will be higher than the number of calories contained in the fruit. 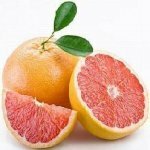 Grapefruits are very good for us, as the health benefits of grapefruit help to prevent certain diseases. Egg white protein is considered the best type of protein. Nutritionists view this protein type as the standard when comparing to other proteins in other foods. A protein has a “biological value”. This is a percentage measure of how much protein can be absorbed into our bodies, the higher the better. So egg whites rank very high at 93.7. Milk is also very good at 84.5. Further down the ranking are fish and beef at 76 and 74.3 respectively. Ever considered why athletes consume a lot of eggs? Also the health benefits of eggs include preventing blood clots, stroke, and heart attacks, etc. Egg calories are relatively low. If you decide to follow the egg and grapefruit diet it may help you to lose 5 – 10 pounds but this is only a short term fix, you would not be able to stick to an egg grapefruit diet menu for long and you will then probably put the weight back on. Look elsewhere on our other pages for a healthy balanced diet plan to lose weight for good.